Awards Season may be the best time of year for ogling treasures, but the jewels are not exactly easy to translate into your daily routine. 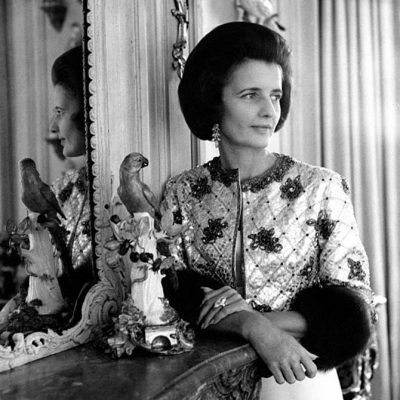 Let’s face it, as much as I would like to wear an Irene Neuwirth tiara out to lunch or better yet to a meeting with my web developer, it’s not going to happen. So where can one go for jewelry inspiration? Some nice ideas were presented at the press calls in Cannes, but it’s really the summer months when the ready-to-wear jewelry is worn. Celebrities replace the big bling with more realistic options that could be converted directly or in spirit to your collection. 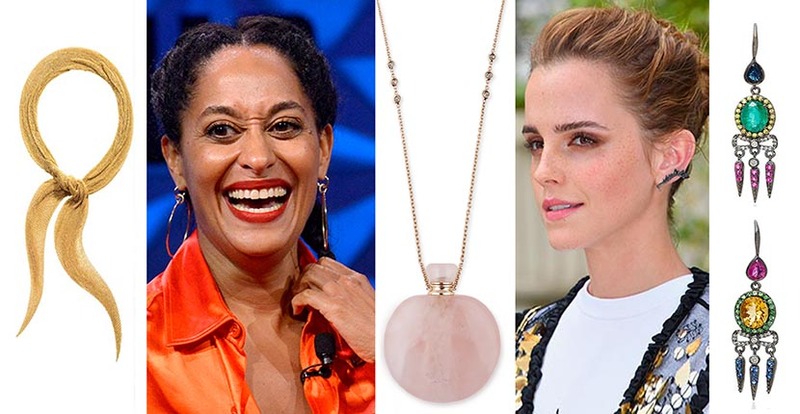 This summer several stars have already made casual appearances in some of my favorite designers. 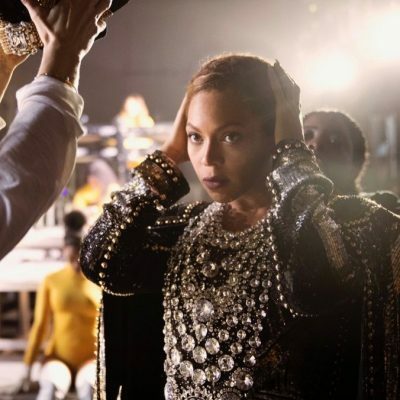 There have been amazing earrings, some expertly layered necklaces and one iconic gold scarf that is like a contemporary rendition of chain mail. It would be the perfect armor to wear out in the wide world or just to meet my web developer and show him who’s the boss. On June 21, Jennifer Lawrence was photographed walking the streets of New York in a white tank top, black jeans and Elsa Peretti’s iconic gold Mesh scarf necklace. While the 18K gold piece comes with a hefty price tag— $25,000 to be exact—there are renditions of the design available in silver for significantly less. A small silver scarf is $1,750 and earrings are available for $625. 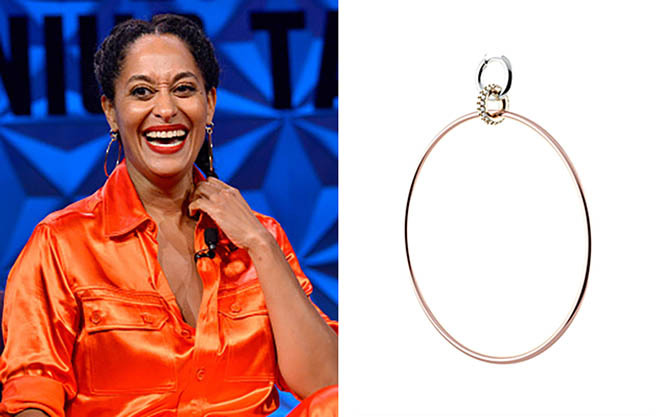 On June 24, Tracee Ellis Ross recorded an episode of the 2017 BET Experience Genius Talks wearing an orange silk pantsuit and the super cool hoop earrings by Spinelli Kilcollin. The jewels were part of the new earring series from the hot collection that ranges in price from $900 to $6,800. Trendsetter Gigi Hadid layered on loads of Jacquie Aiche jewelry during an outing a couple of weeks ago in New York. She wore nine pieces from the designer including several necklaces. The Rose Quartz Bottle is part of Jacquie’s new Love Potion collection. It can be filled with a fragrance or an essential oil. Hadid’s jewels range in price from $1,225 for a Mini Double Horn Stud (that can’t be seen in the photo above) to $8,750 for the Trillion Diamond Shaker Necklace. At a June 22 photo call in Paris for her new film The Circle, Emma Watson once again showed her love for interesting ear climbers. In the past, her passion for ear-wear extended to the on-screen moment when she wore an all-over ear cuff as Belle in Beauty and the Beast. The star’s choice last week were black diamond earrings from Brazilian sensation Fernando Jorge. A smaller yellow gold and topaz rendition of the designs is available for $1,780. 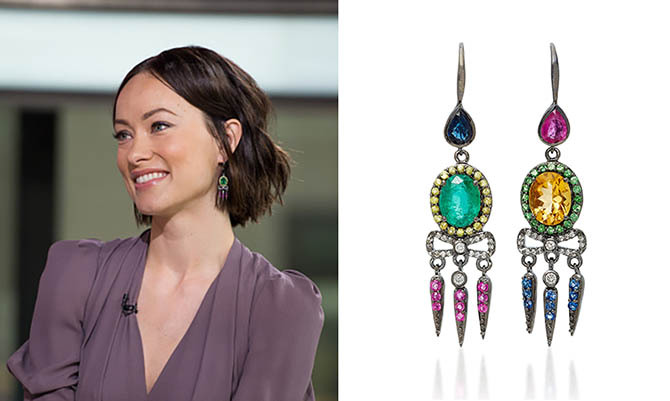 For a June 15 appearance on the Today Show to promote her Broadway debut in 1984, Olivia Wilde wore a pair of Holly Dyment’s Bow and Dagger earrings set with a rainbow of semiprecious stones. The statement style is part of the designer’s wildly popular earring collection that ranges in price from $1,000 for a Single Cluster Earring on up to $7,900 for emerald Girandole earrings.